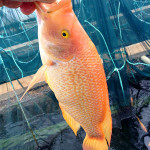 Low intensity RAS via Aquaculture Production Units is the entry into fish farming. High intensity RAS is for larger scale businesses. William, Donovan, Hugo, Ross and the engineering team have many combined decades of experience in aquaculture and in business development. We're a powerful combination. We use the same systems we sell. We know them backwards, inside and out. Are you in the right place? fish-farm.co.za is aimed at startups and SMEs wanting to get into fish farming with budgets spanning from R30k through to R2m+. If you are not looking at an owner operated business and have the ammo to build out from scratch you should consider engaging us via Rydawi Aquaculture Services. This is a project driven business aiming at EPCM (Engineering, Procurement, Construction and Management) opportunities that kick in from R20M+. If you want to farm fish you must first become a fish farmer. Fish farming is long term, capital intensive and has a payback measured in decades, rather than years. It is a full time career, not a part time hobby, nor a get rich quick scheme. Water & land are not things that you may need in the quantities you may first think you do. Do your homework online. We will not be doing it for you! You cannot make money from farming fish unless you do it at scale. Until you can prove mastery of a fish farming system and have a proven track record of DOCUMENTED fish production you are not investable. What this means is that you WILL NOT RECEIVE A CENT FROM ANYONE. If you need a loan to start your fish farming career you are in the wrong business. Right. Enough bad news and reality checks. You are investing in making YOU a fish farmer. The skills you will require cannot be learned in a week or a month. 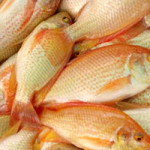 They will take you the best part of a year to acquire during which process you will come to answer the questions of what the business of farming fish involves. You will begin with perfecting growing them from small to large and formulate answers to the ‘what now’ questions post growing out your fish. 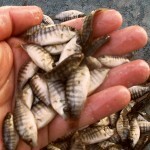 Our Aquaculture Production Unit (APU) is the perfect tool to get you started. It is a semi intensive RAS system that allows you control over the production process but also offers you the flexibility to change and test. It is a tool that you can use to learn what you need to know before rushing out and spending millions on an aquaculture operation that promptly fails because you have no idea about the intricacies involved. APUs are great for training centres, they are great to get you started in small scale production up to around 100 tons per annum. They are scaleable, portable and will always be used in your operation no matter how big it gets, an APU can be used for nurseries, spawning, quarantining, purging, conditioning etc. Master an APU and you can pretty much master anything fish production related. You can start with your own APU in literally under two hours. This is what it looks like. 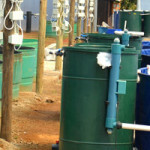 Since the 2016 Green City Startup Project, we’ve firmed up relations with UJ, developed our own filter system for the Aquaculture Production Unit that is now a self contained moulded unit, added research, developed production system frameworks and expanded. We have feed coming on stream and the interest continues to pour in. We won the Nedbank 702 Business Accelerator and went to GrowCo in New Orleans in 2018. What a ride it continues to be be! 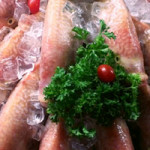 If you’re that useless that you can’t sell fresh farmed fish at a premium price we’ll happily make the margins you should be by selling it ourselves for you. But seriously, sell your own damned fish! You need to. Quality feed supplier details are just a phone call away. We use only the best. 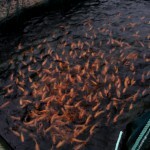 Whilst you are establishing your fish farm the fastest way to get into full production is to buy in fingerlings. Rydawi can supply you with top quality fast growing male only hormone free niloticus to suit your needs whilst you establish your own hatchery. YOU MUST GET YOUR OWN AIS PERMIT – this is done via DEA in Cape Town. We’ve given up dealing with them as it’s proven bad to our health and sanity. Everything that you buy from us comes with a warranty and after sales support. We understand the mission critical nature of the equipment you use which is why we only supply the best, and we back it up with a full complement of spares and replacement parts.